The College has a fully equipped kitchen and restaurant that serves a capacity of 300 people at any given time. 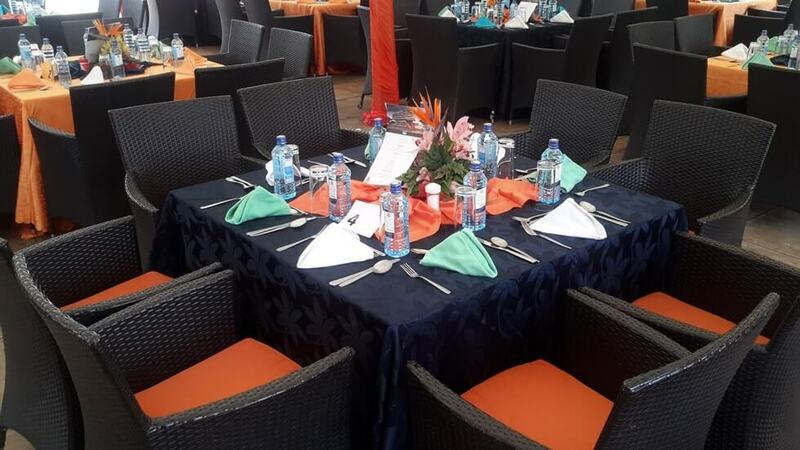 The restaurant specializes in African cuisine, table d’hote and ala carte menus. Menus can also be tailored to suit individual client needs. College of Insurance has self contained double rooms, for both residential and visiting guests with 21” ultra slim TVs and wireless internet connection. Guests are assured serenity during their stay, comfort and value for their money.